Edo State Governor, Mr. Godwin Obaseki has launched the State Integrated Information Management System (SIFIMS) to enhance and actualise his administration’s vision of a repositioned electronically driven Civil Service in the state. Governor Obaseki, who flagged off the system at the Edo State Government House in Benin City, said the system was significant because it marked a new era, which was made possible by the courage of former governor Adams Oshiomhole, who paved its way. 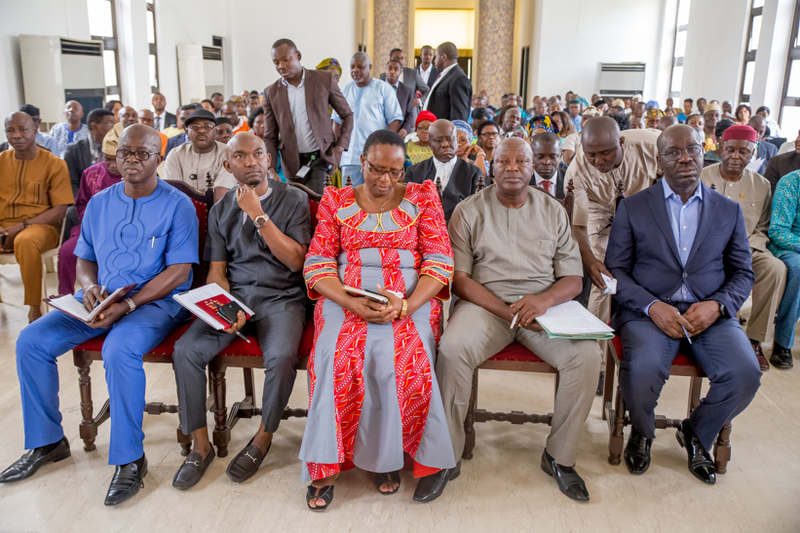 He continued that SIFIMS is a revolution and that it was a bold step for Edo State to launch a system of this nature, stressing the need to reposition the Civil Service because it was important to any nation that wanted to grow. “Nigeria worked because the Civil Service worked. The Civil Service worked because there were processes and systems that made it work. This provided the platform for the successes recorded by the government, which were deliberately implemented and enforced,” he said. He called on the people to embrace the technology, saying that the government would make the process simple. He said, “SIFIMS is our first attempt to get government to work again more transparently and effectively. There is nothing new but only automating what should have been and updating the processes in the Civil Service”. Obaseki disclosed that his administration had completed the process of acquiring 1,000 units of computers and the first 300 were ready for deployment to make connectivity possible, as it would enable his administration run an e-government. He promised to complete the Block C section of the Secretariat this year and fence it round from the ministry of works in Sapele Road to the High Court Complex saying that his administration would provide wireless internet connection to offices to ease work in the Civil Service. Meanwhile, the Accountant General of Edo State, Mr. Isaac Ehiozuwa commended Governor Obaseki for his commitment and determination to run and ensure transparent and effective governance through the system. He said all is set to run the system in the state as all those concerned have been fully trained and all financial transactions of the state would be done through the use of the computers.